Earn your keep as your friends’ and family’s best gift giver. Etch their names in glass for a special occasion and forge their legacy forever in a trusty drinking tool for which every true German beams with pride. Dad will swell at the sight of his surname carved into a sturdy glass of his favorite German beer. Every time. Get him a Father’s Day gift to cherish in times of leisure while heartily savoring his favorite Pilsner or Hefeweizen. Protect your beer from aggressive invaders with a 100% German handmade Flaschendeckel. Every lid comes with a sturdy metal clip that attach to most standard beer bottles. You and your groomsmen love beer. Put a permanent stamp on your unforgettable day with a batch of custom engraved personalized beer mugs for your wedding party. Our beer steins are hand-selected for quality and craftsmanship. From Germany's most respected beer stein makers to your home. Our decorated glass and stoneware beer mugs come in a variety of sizes & styles. Friends don't let friends drink from cans! We offer an incredibly wide selection of quality glass beer boots. Really no better gift than a Custom Engraved beer boot! 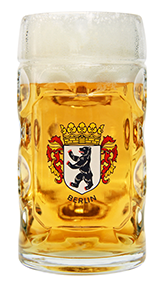 Shop the largest selection of King Werk beer steins available online! Hand made in Germany, these steins are fit for a KING! Collecting authentic German beer steins is a fun hobby! Browse our selection of collectible steins to start or grow your collection. Authentic German gifts and souvenirs comfort those who dream of visiting the German Hinterland until they make the journey. 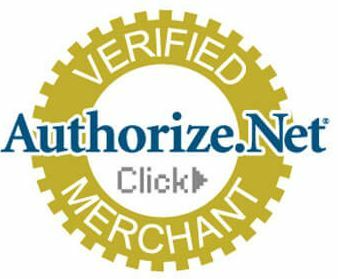 Our huge selection of Oktoberfest decorations & party supplies helps bring Munich to your Oktoberfest parties. Going to Germanfest? Attending an Oktoberfest or German party? Don't be a wallflower. Get into the spirit! Drinking Horns take any occasion to a level of class no other vessel can. Check out our hand-crafted, one-of-a-kind Drinking Horns. Weddings are one-in-a-lifetime celebrations. Browse our uniquely German selection of Groomsmen and Wedding gift ideas. German Christmas ornaments, German Advent calendars and decorations bring warmth and coziness to any hearth. Shop the largest selection of King Werk beer steins available online! Hand made in Germany, these steins are fit for a KING! here is no classier way to drink beer than from a stein. German steins are instantly recognizable and have a rich history of keeping drinks cool anywhere people drink beer: in beer halls, bars, at work and in basements. We’ve got you covered whether you want to keep your beer cooler longer with a ceramic stein with lid, are looking to deck out your basement bar with personalized glass mugs, feel the urge to conquer Das Boot or are in the mood for a snazzy German drinking horn. Our vast selection of German drinkware is specially selected by our staff to include unique, hand-crafted and distinctive collectibles. We do this by carefully choosing our products based on their high quality and craftsmanship. Unlike cheap knock-off steins, ours are imported directly from Germany, made by world-leading stein companies. Our family has been selling real German beer steins since 1954, a tradition we continue today. German Beer Steins come in a variety of shapes, styles and sizes. We have decorated glass, crystal, stoneware and a host of unique German collectibles which make excellent gifts for any occasion. Whether you’re Bavarian or a native of Schleswig-Holstein, we have the perfect beer stein for you. Along with being the perfect gift, drinking your brew out of an authentic ceramic stein will make your beer taste better. Some people say this is all in your head. But does it really matter why your beer tastes better in a stein? No. Beer steins are awesome. Start using one today. Beer steins also act as an insulator, keeping your beer cold and refreshing. Many steins have lids to keep bugs from your mugs while you put beers in your face. A beer bottle stein lid turns ordinary beers into mini-steins. Classy AND convenient. Don’t want to fiddle with a lid? We’ve got steins without lids, too. Whether you’re looking for a novelty engraved beer boot or are a serious collector of authentic, hand crafted steins, German Steins has exactly what you’re looking for. A beer stein is a unique statement. Customize yours with a personalized message. We can engrave many glass stein, mug, glass or boots we have in stock. Whether you want a name, date, message, logo or all of the above, our in house engraving staff will make your stein one of a kind. High quality glassware engraved with your logo lets basement and commercial bars order sets of personalized steins to add the finishing touch and perfect ambiance. Our selection of armed forces steins have glass versions available, perfect gifts for vets or to adorn the bar at your VFW or American Legion post. Add your unit, tour or other personalization to a glass stein emblazoned with your branch’s logo. Commemorative beer steins make great souvenirs. Remember your family reunion, corporate picnic or local German fest with a specially engraved glass beer mug. Engraved steins also make great groomsmen gifts. Give the World’s Greatest Dad the world’s greatest personalized beer stein this father’s day! All engraving is done in-house by our trained staff. 13 fonts and any logo or other image you supply get you a totally unique, personalized beer stein. Originally made of earthenware, steins now come in more durable materials. Stoneware ceramic steins are usually brought to mind when we think of German beer steins, but other materials are often used. Glass, pewter and crystal steins have been used for centuries and we have them in both classic and contemporary designs. If you love drinking from a stein (aesthetics!) but do not want to risk breaking a fancy glass one, consider learning how not to drop a mug or check out our plastic German steins. From 1L plastic beer mugs to large, 2L plastic beer boots, our selection of plastic beer steins is sure to have the shatterproof stein you need to enjoy your favorite brew without having to sweep up after yourself, butter fingers. Broken glasses are often the price of owning a bar. Instead of suffering through patrons breaking your expensive, personalized glass beer steins, our high quality, plastic glasses make a great alternative, even though they can’t be personalized. When you’re planning your own Oktoberfest or other German-themed party, German Steins has just what you need. 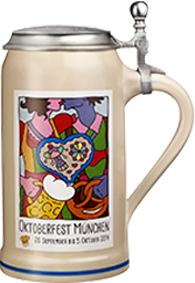 From official Oktoberfest beer steins and mugs, available with and without lids, to Bavarian themed glasses, you’re spoiled for choice. We even have a huge selection of steins featuring the world famous Hofbrauhaus, Munich’s favorite beer hall.